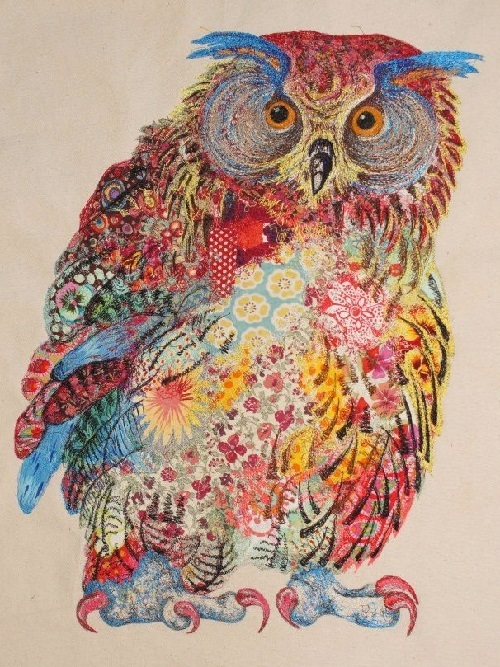 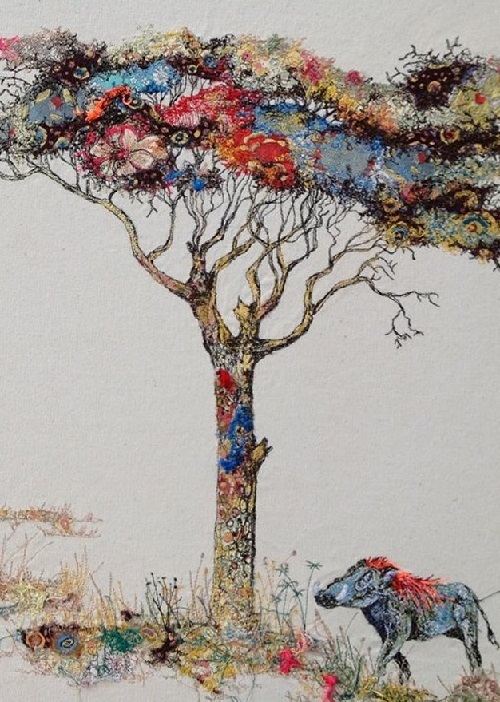 Textile art by Sophie Standing is complex collages of cloth. 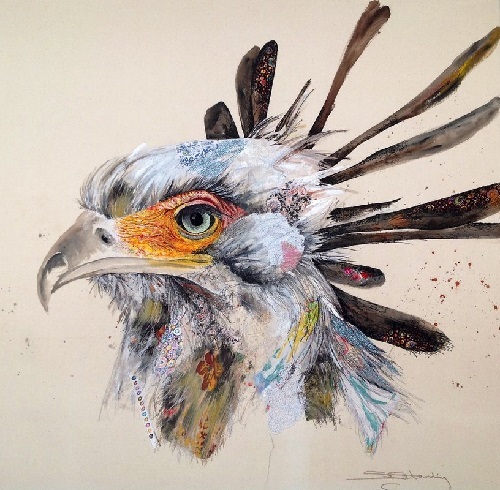 British fine artist Sophie Standing was born and raised in England, in the county of Hampshire. 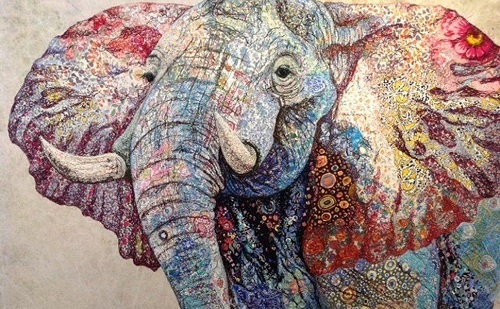 In 2003 she moved to South Africa and now lives in Kenya. 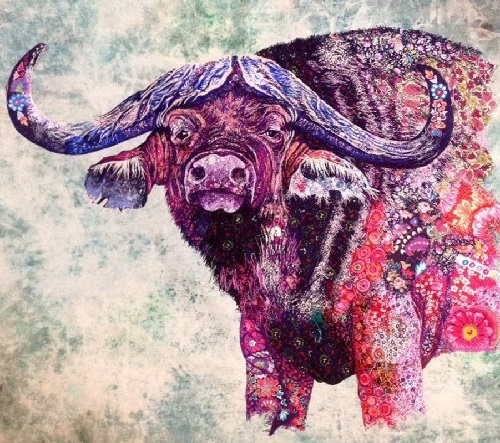 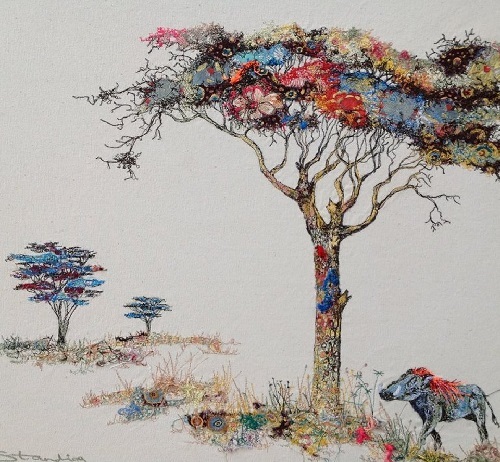 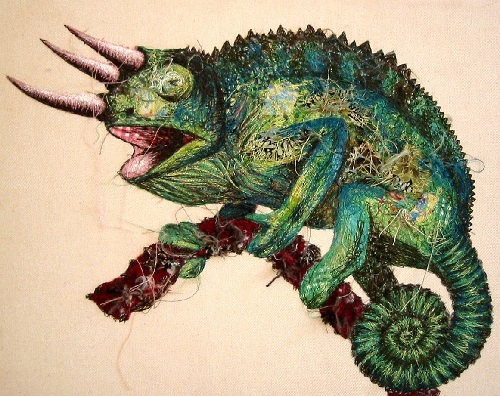 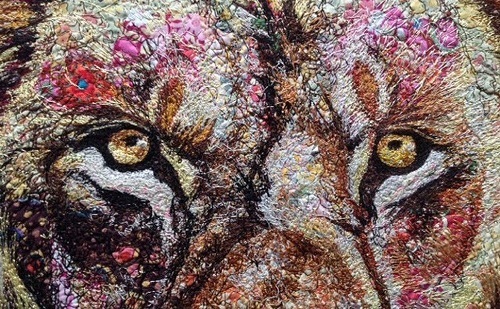 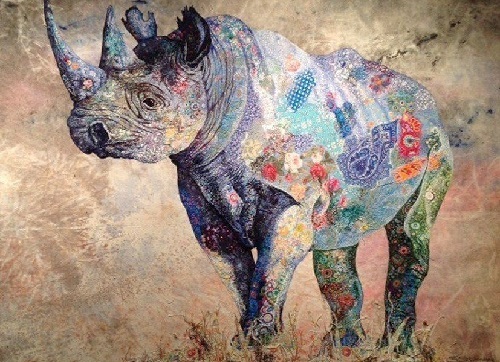 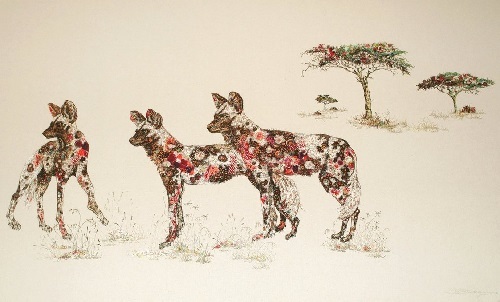 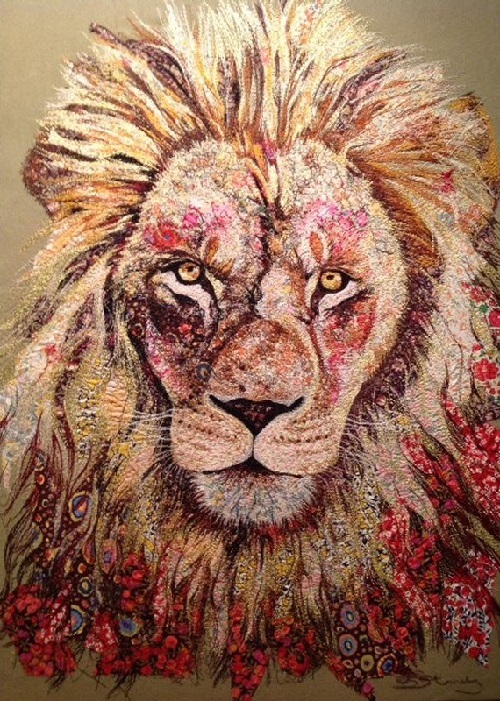 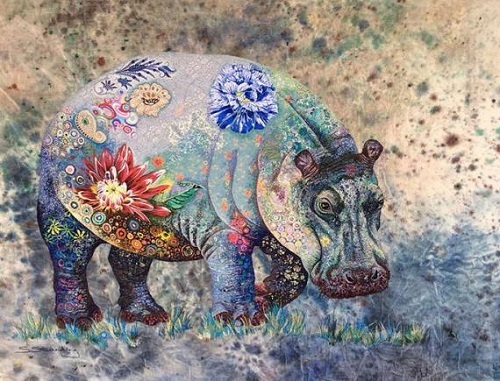 Variety of African flora and fauna, and passion for fabrics and textiles motivated her to create a stunning gallery of animals and landscapes, embroidered in a unique technique. 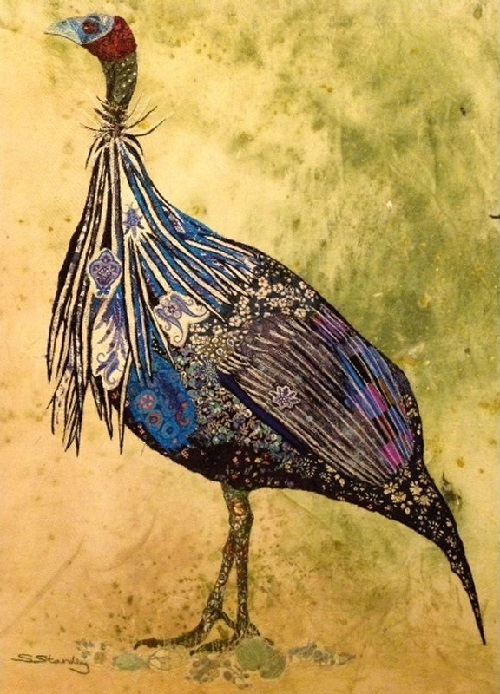 Sophie Standing studied wood, metal, ceramics and textiles art at Liverpool Hope University. 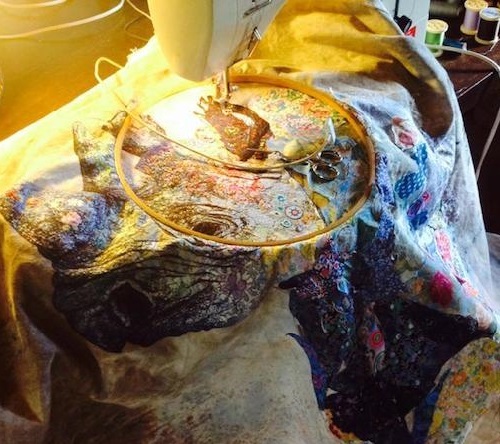 Sophie has worked with different mediums, including ceramics, stained glass windows, weaving, dress making and finally – textile art. 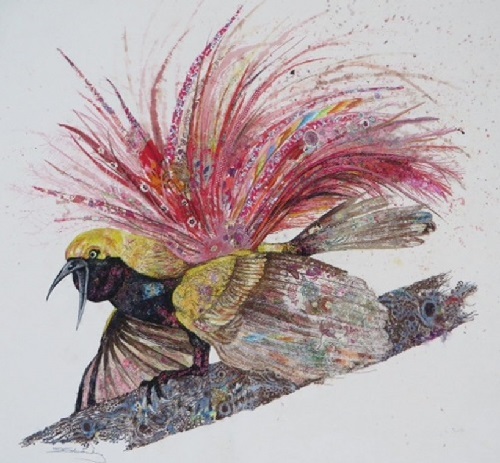 The works of fine artist Sophie Standing can be found at art exhibitions and private collections in Kenya, South Africa, UK and Germany.